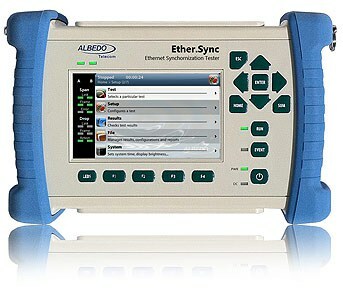 ALBEDO Telecom is an International manufacturer of telecom synchronization nodes, testers, and networking devices. They help R&D laboratories, Mobile and Telecom operators to install optical and electrical infrastructures that support any kind of applications based on voice, video, and data. ALBEDO’s core expertise range from PTP, SyncE, GbE, 10GbE, E1/T1, Jitter/Wander, OTDR, Cabling measurements, QoS and SLA technologies implemented in WAN emulators, Taps, Testers, Clocks, and Systems. ALBEDO has direct operations and representatives in more than 82 countries all over the world. 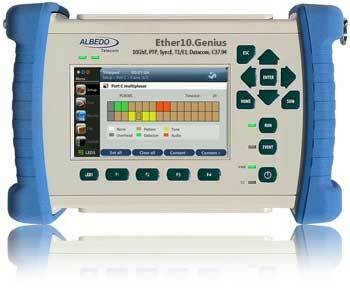 ALBEDO Telecom converts ideas into tangible, manufacture worthy solutions. With an understanding of telecoms, quality monitoring systems, test and measurement, engineering, production processes and most importantly the end users – their behavior and needs- we attempt to enrich user experience at all levels. They develop projects from scratch and with special emphasis on aesthetics and ergonomics. ALBEDO Telecom is an ISO9001 certified company. ALBEDO aims is to be the best technological partner for their customers offering them products to install, synchronize, monitor and troubleshoot telecom resources. ALBEDO Telecom designs and markets products that contain a high degree of sophistication and offer a great added value where accuracy and reliability is fundamental in a changing technological environment. Customer satisfaction is their objective and the main driver of their improvement.